If you studied in your country and then you plan to work in the same career job, it is necessary to go through the process of nostrification. Nostrification of diploma in the Czech Republic is the official confirmation of your educa tion, which you had obtained in your home country. It is not important only for job purposes but also when you want to study in Czech Universities. Why is nostrification of diploma so important? Nostrification of diploma for foreigners is required especially due to reasonable doubts about education which you had obtained. The employers want to be sure about your qualification, which could be sometimes different. It is because of dissimilarities in education systems around the world. Nostrification is also important for job purposes visa (more information about visa…). Which diplomas has to be nostrificated? How does nostrification of the high school diploma proceed? For the high school diploma nostrification you need to present your report and listing of all subjects you have studied. In case you lack some subject which is obligatory in the Czech Republic, the authority office can require an additional nostrification exam, which will be from the subject you lack. This exam takes place at local school which is chosen by the authority office and usually is not far from your home address. Together with the report you also need to present filled nostrification form which can be downloaded HERE, and a document proving your home address. If you live in Prague, you can submit these document at the municipal council of Prague. If not, you can also go to the regional municipality near your home address. Nostrification fee is about 1000 crowns and the whole process usually takes about 30 days. How does nostrification of the university diploma proceed? 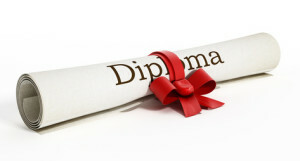 For notification purposes you need to legalize the copy of your diploma and its amendments by the notary public. In the documents must be also listed the studied subjects and amount of classes for each of them. In case, you do not have the listing of the classes (which can happen if the diploma was issued in the Soviet Union) you can contact the archive of your home university and they will issue this listing additionally for you. Afterwards, you need to translate all these documents into Czech language and legalize them by the authorized translator. Then you need to pick up Czech university, which is most appropriate for your field of study. This university will then evaluate your nostrification request and the documents presented by you. How much does nostrification of the university diploma cost? State fee for nostrification is not charged from all universities and is about 500-1000 crown (circa 20-50 euros). How long does nostrification process take? Nostrification request is evaluated up to 60 days, firstly the Czech university will contact your home university to check if you really studied there. Then it will compare your studied subjects and amount of classes with the ones which are obligatory in the Czech Republic. And finally, the university will compare your university qualification. In case of maximal correspondence with the Czech educational system, your diploma will be nostrificated any delays. Together with the positive decision you will also receive a certificate as a proof that your education corresponds with the Czech one. Is there any chance that the nostrification won’t be successful? Through nostrification process your Bachelor or Master of Science degree can be recognized. But in case you wrongly picked up the Czech university, the institution will suggest you to send your request through the Ministry of Education to other university which is more appropriate. Usually about 90 percent of the applicants receive a positive decision of their case. If you are in those other 10 percent- do not panic, after receiving of the official decision you have 15 days to appeal this decision at the Ministry of Education of the Czech Republic. If you are not sure, whether you applied correctly for the nostrification process, or you just do not have time to deal with this issue, you can contact specialized companies which already have wide range of experience in this field.